A hard-core Delhiite, Ruchi Kalra was brought up a single child in a middle-class Punjabi family. 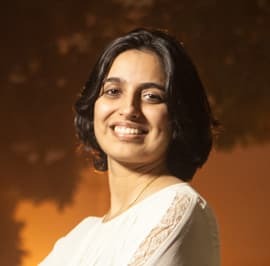 She went on to study Chemical Engineering from IIT Delhi and then worked at Evalueserve, Gurgaon for a couple of years before doing an MBA from ISB, Hyderabad. From there, she joined McKinsey and spent 9 years as a consultant, post which cofounded Ofbusiness along with 7 others. She has an 18-month old daughter and runs OfBusiness from her office in Gurgaon since end-2015. In this exclusive interview with CrazyEngineers, we got Ruchi to talk about her venture, how it all began, where they are headed and a lot more! Read on! CE: What made you choose 'Chemical Engineering' in IIT Delhi back then? Tell us more about your days at ISB for MBA. Ruchi: During that point of my life, there were 2 important factors – location and rank. Chemical at Delhi was the best combination. I wanted to be in Delhi, closer to home. It wasn’t that I knew lot about chemical engineering. In fact, people I spoke to at that time were under the misconception that, if one is good at Chemistry then taking up Chemical Engineering was an obvious choice. Chemical engineering is a very different field altogether. ISB is a great institution where you get to interact with renowned faculty and colleagues with rich working experience. You learn a lot from your study group, class discussions, and assignments. For me, in addition to the curriculum, there was a lot more to do as an elected member of the Student Body. This gave me an opportunity to explore my full potential and, also a recognition from the institute as a ‘Young Leader’. At ISB, I was placed with McKinsey, which was a big leap for me professionally. CE: How was your experience working for McKinsey & Company and Evalueserve? Ruchi: E-valueserve, though only a 2-year journey, was my first professional experience. McKinsey was a 9-year journey, which I thoroughly enjoyed. It was enriching both professionally and personally. Great people, amazing workplace, and challenging problems – all help bring out the best in you! You learn and grow much faster; 2-3 years at McKinsey help you pick up skills that may take 10 years in a typical Corporate role. At McKinsey, you get the flexibility to pursue your passions and take risks. I was primarily into financial services working with clients across various banks and NBFCs. CE: What made you quit your job and start your own venture? CE: How did OfBusiness come into existence? Tell us the story of its inception and about your key team members. Ruchi: There are 8 of us as cofounders with an unparalleled top team. 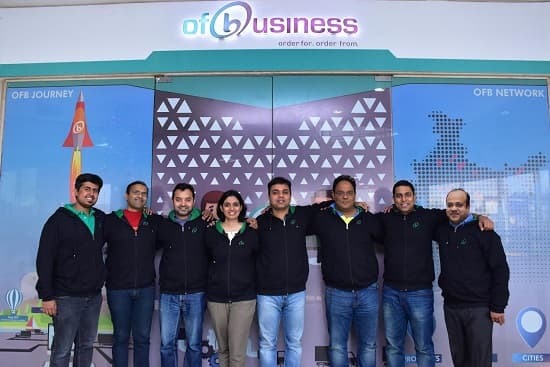 Cofounders include Asish Mohapatra (IIT KGP, ISB, ITC, Mckinsey, Matrix Partners), Bhuvan Gupta (BITS Pilani, FMS, Airtel-BSB, Snapdeal), Chandranshu(IIT KGP, Dev Factory, Trilogy), Ranjan Kant (IIT KGP, IIM-A, BCG, Snapdeal, Jabong), Nitin Jain (IIT Delhi, RBS London), Vasant Sridhar (IIT Madras, ITC), Biswajit (CA, Duet Hotels, DLF Hilton) and myself (IIT Delhi, ISB, McKinsey). Get to know other core members of the team @ OfBusiness - Team. OfBusiness is a financing and fulfillment platform for procurement of bulk materials for SMEs. We currently focus on Manufacturing (Fabrication), Infrastructure, Furniture and Sanitary-ware as segments. We were all keen on the B2B space and each of us had relevant experience in the chosen space across Financial Services and relevant industry verticals. We came together in year-end 2015 and started with a Series A funding of USD5M from Matrix and few angels. Series B of around USD 11mn with Zodius and Matrix happened in Nov 2016. CE: Whom do you see as your potential competitors in the market? What measures do you take to maintain an edge over them? Ruchi: We are converting operational credit through local vendors into formal credit at better flexibility and pricing along with best material prices (directly from manufacturers) with seamless fulfillment experience. So, in the true sense, our potential competitors are offline dealers who act as informal financiers for material procurement. CE: What is the hiring process at OfBusiness? What do you look for in a candidate applying to OfBusiness? Ruchi: I firmly believe that ‘It's people who deliver value’ and one needs to be with the best to create value. You recruit A’s (top talent) and they build a team of A’s under them. You start recruiting B’s then they build a team of B’s and C’s under them. We are out there to recruit people with high Hunger and Hustle – who are passionate, hardworking and ready to give it their best to build something big and sustainable. You would find high drive and persistence as core to our DNA. CE: How big is OfBusiness at the moment? Ruchi: We did around 220 Cr of business our first full financial year across 17 locations with about 120 people across sales, tech, operations and support functions. CE: What is the best feedback you've received for your work so far? CE: Any message or word of advice to your readers? Dream without boundaries and leap without holding back. Many of you reading this article are blessed with immense set of opportunities that only a selected few get in our country. Don’t let it go waste. Don’t doubt yourselves. Just being focused on what you want and enjoying what you do, drowns out all noises. I believe that holding oneself back is doing extreme dis-service to an opportunity that only one in a million gets. Give yourself a chance to dream big and create your own path. Like Nike says – ‘Just Do It’.